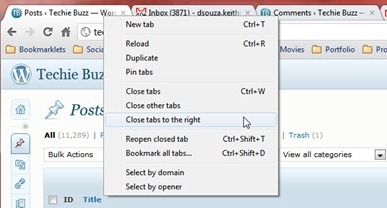 Google has just released Google Chrome 11 to the stable version of the browser for Windows, Mac OS X and Linux. In addition to that the Canary build is now Google Chrome 13. Google Chrome development version has also been updated with the new Profile Switcher feature. Google Chrome 11 includes several enhancements including speech input through HTML which allows users to speak text and then insert them into HTML forms. The Chrome Blog has a detailed article on how this works with Google Translate. In addition to that, Google has also update the development version of the browser to include the new Profile Switcher feature which will allow users to create and switch between multiple sync profiles for different windows. However, the feature is still being developed and does not allow you to create multiple profiles. 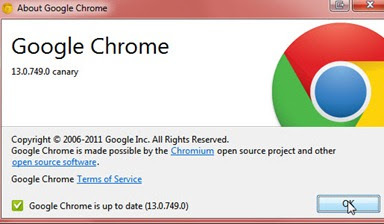 The Canary build of Google Chrome has also been bumped to Google Chrome 13 (v13.0.747.0). Both the development and Canary features look identical which means that most of the changes are under the hood. Some of the visible changes in the development and Canary build include "Tab Grouping", focus existing tab on open and the experimental new tab page which still seems to be experimental. Google Chrome 13 might be shipped to the development version after the Multiple Profile features is fully functional.